Hi Everyone! 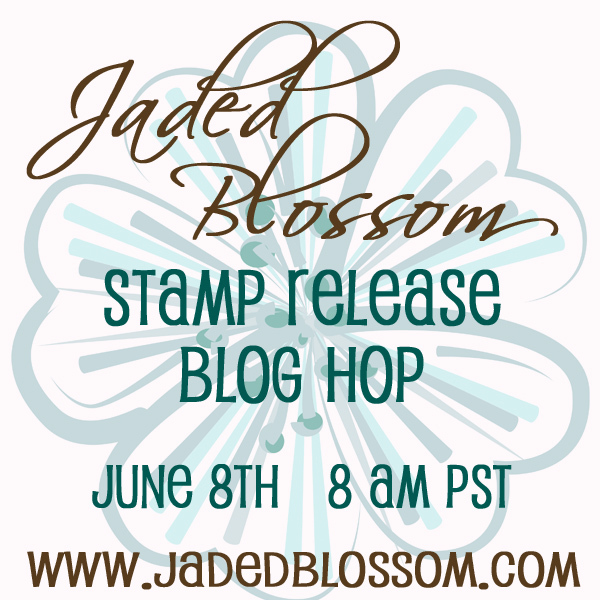 And WELCOME to the Jaded Blossom Stamp Release Blog Hop! We are very excited about this months release! 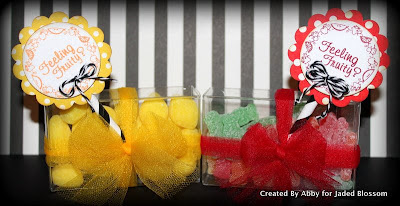 Did you check out all the fabulous projects all month long? Here is a recap of the stamp sets being released today! All wands purchased this weekend will be SHIPPED FOR FREE! Take advantage! Due to their size and weight normal shipping fees are $8! Set of 10 for $9.99! Set of 25 for $22.50! THIS WEEKEND ONLY the entire stamp release package is on sale! Any orders placed during the month of June will be put into a drawing to win this prize pack!!! We are giving away a brand new 6x6 Echo Park Paper pad and some yummy twine! 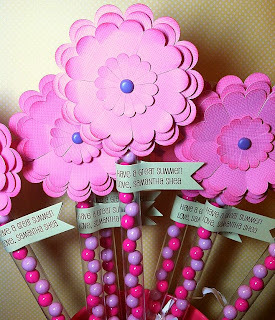 For additional chances to win comment on all of the Design Team blogs! Thanks for checking out this months stamp sets! Here is the Line Up! Your next stop is Candace! As usual you ladies out did yourselves - SO cute! Keep up the good work! Amazing! I love this release!! Everyone's projects are super cute!! Love the new stamps. 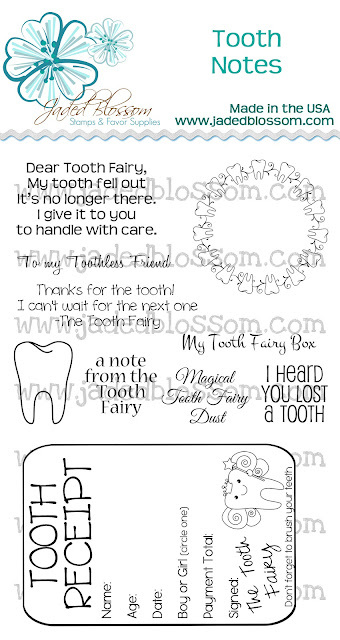 Especially the Tooth Fairy one! Great job on the projects too. Delicious stamp sets. 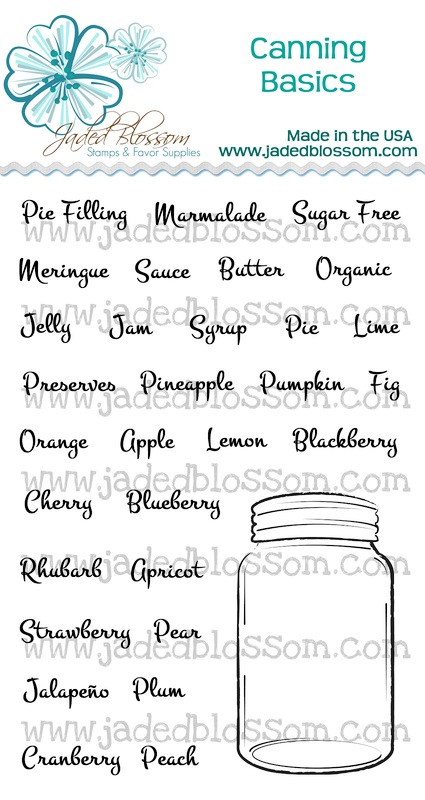 I especially like the canning one! 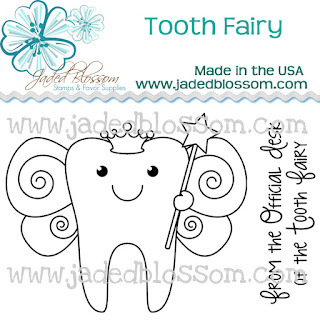 Love the new release, especially the Tooth Fairy sets!!! I am loving these new stamps! Awesome release! Hi Wow im lovin the new releases!!!! and would love to win a prize! Wow, amazing stamps. I want those canning ones. I'm going shopping at your store! Yikes! WHAT AN AWESOME STAMP RELEASE! Great job ladies! 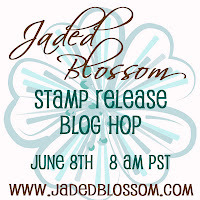 Great Release JB Girls and everyone did an Awesome Job showcasing the stamp sets. Tough call on which set I want first. This is a great set of stamps. love the Feelin fruity and spread the love. I love the Feelin' Fruity set. So very cute. 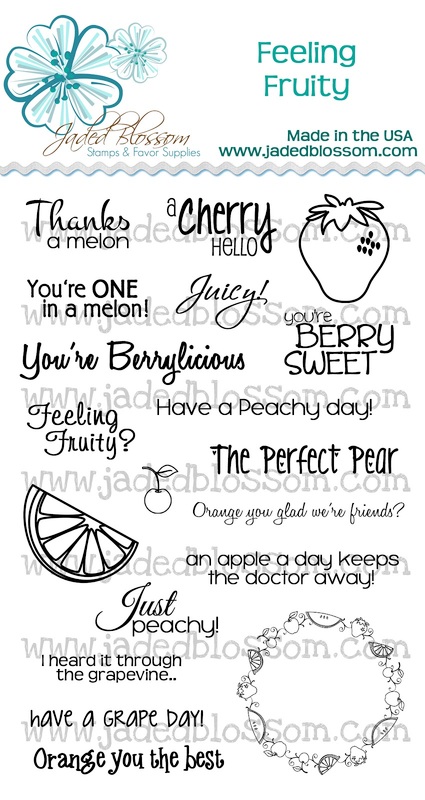 I love the fruity stamp set!!! Oh that tree is beautiful!! Love all the stamp sets!!! Great projects using the products, Thanks for sharing! 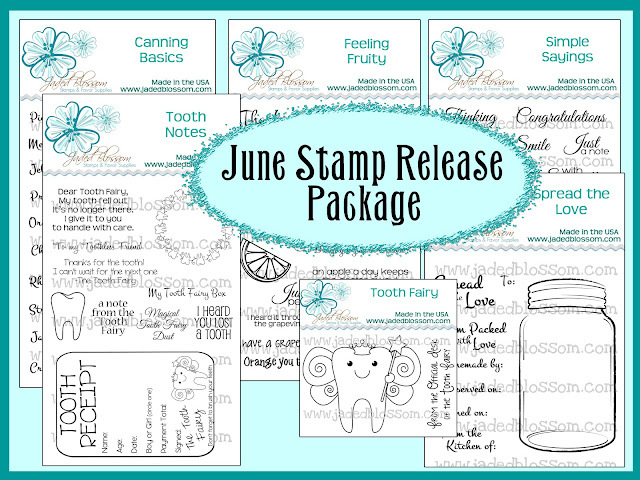 Wow, I am loving all the stamps in this release and your new favor boxes.. Thanks so much for the chance to win and I'm looking forward to the hop..
What a great hop, all the stamps and inspriation is just wonderful, thank you for the hop and the chance to win. I'm a new follower. I love the new stamps. 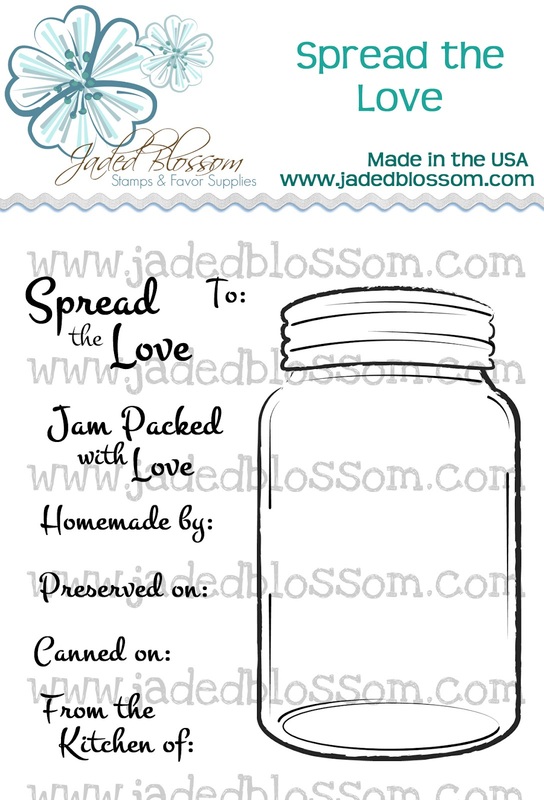 I especially like Canning Basics and Spread the Love. I'm looking forward to checking out the store and getting to know your products better. Great release ladies!!! 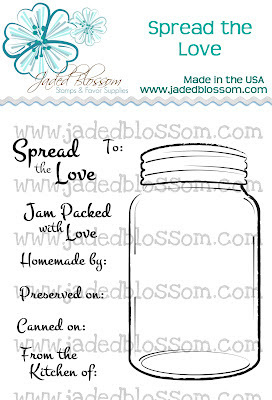 loving that jar!!!! Loving the new release! Definitely going to be getting the simple sayings this weekend and some wands! What a fabulous release! I love the "Feeling Fruity". It'd go great with the Preserves cartridge I have. 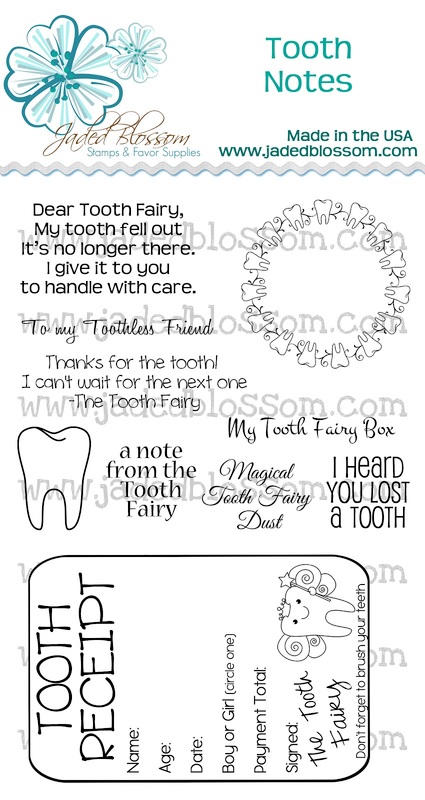 The tooth fairy stamps are so adorable! 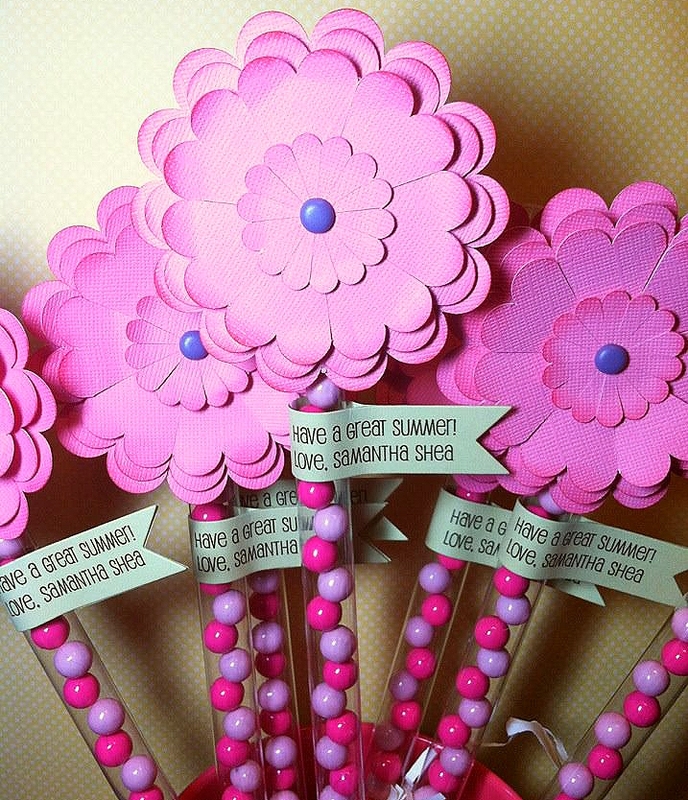 The receipt idea is too cute! Spread the love, is great! 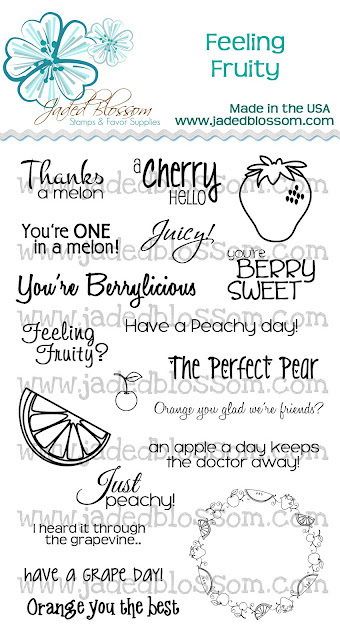 Didn't know your stamps but I really like them, especially the Feeling Fruity one!!! Maybe one day this will be possible, I hope. 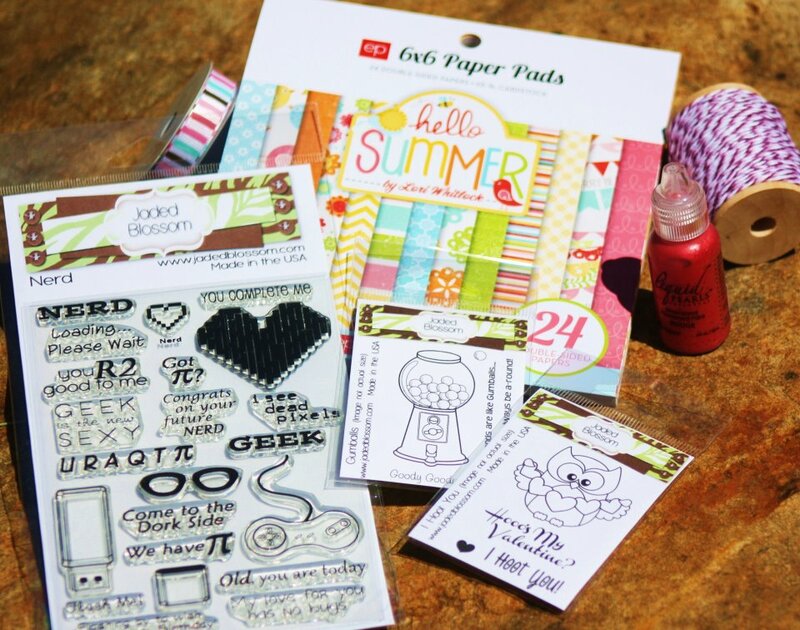 Love your stamps sets and your blog. I have been a longtime follower and look forward to your emails that you have a new project. what a wonderful hop, everyone did a really amazing job! I think the flourish tree is beautiful, and I can see so many ideas for the canning jar, but that little tooth fairy makes me smile...lol...love 'em all!! OMG! These new stamps are so doggone cute. Just love um! wow these stamps are so cool i hope i win!!!! TFS! The new sets are really cute!! Thanks for the chance to win! Super sets and awesome projects! I love the tooth fairy set. 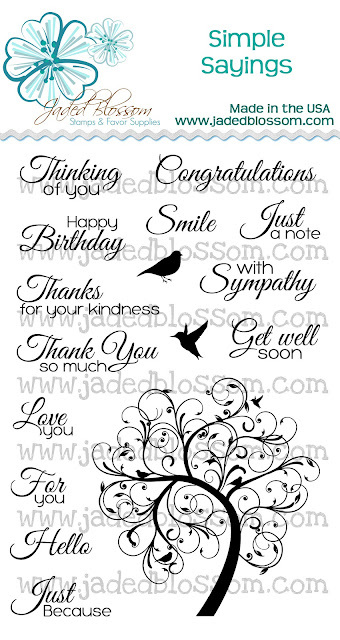 Awesome stampe sets, I love the wedding and simple sayings, so pretty! Awesome stamps! 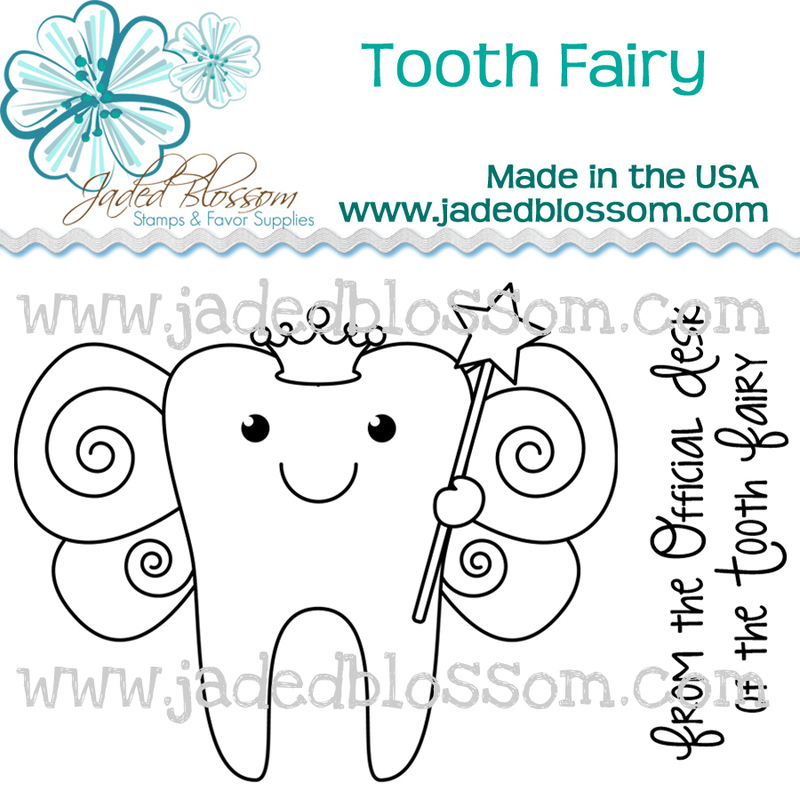 Love the tooth fairy set! I'm a follower!